At the centre of Electric Brae is the crumbling sea-stack of the Old Man of Hoy and the consuming relationship between a young artist, Kim, coldly passionate, talented, secretive, and Jimmy, a North Sea roughneck, engineer and climber. 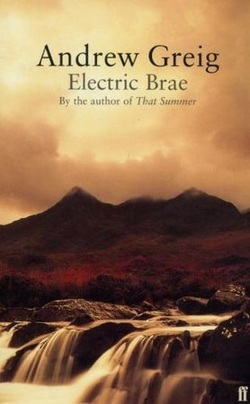 Acclaimed on publication for marking a brave new direction in the course of Scottish fiction, Electric Brae is a story of love and loss, loyalty and betrayal, and fathers and children. It is published by Faber & Faber. To buy this book, or to find out more about the publisher, please click HERE. To read a review of the book please click HERE.